Skin rejuvenation involves the use of a technique or a combination of techniques to reduce or eliminate damage caused by trauma, aging or sun damage. A comprehensive skin rejuvenation program can address many conditions, including wrinkles, lines, and folds, as well as other age-related damage, sun damage, and discoloration. 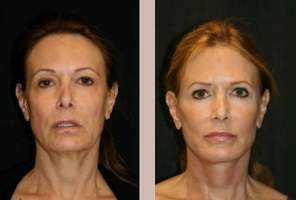 Rejuvenation techniques also help skin appear younger, tighter, firmer, and more toned, and improve the overall texture of skin. These techniques rely on the focused energy of lasers to cause controlled damage, usually to structures beneath the surface of the skin. They are used to treat wrinkles, lines, sun and age spots, and to improve the overall tone and texture of skin. Today’s physicians may be trained in the use of many different types of lasers, which are designed to treat different conditions and to achieve different outcomes. Some lasers combine more than one type of laser energy to treat multiple conditions in one session. Dermal fillers are injectable gels or solutions that are used to fill wrinkles, lines, folds, scars, and other depressions in the surface of the skin. Fillers may be derived from different materials, including different types of collagen, fat, or hyaluronic acid, a naturally occurring material that helps skin retain moisture and plumpness. Depending upon the type of material you choose, you may need to undergo allergy testing to determine hypersensitivity issues. Dermal fillers can be used to plump up lips, and to fill difficult-to-treat lines and folds, such as nasolabial folds which extend from the corners of the mouth to the edges of the nose. Chemical peels are used to cause controlled damage to the skin, removing wrinkles, lines, and signs of sun and age damage while encouraging the development of collagen during the natural healing process. There are several types of chemical peels on the market, and each one is used to treat skin to different depths, allowing physicians an opportunity to treat damage which occurs at different levels. The lightest peels can be performed as a “lunchtime” procedure, while the deepest peels require days and even weeks for full recovery. Dermabrasion involves the use of mechanical tools to remove the upper layers of skin, along with the damage they contain, revealing new, fresh skin as the healing process takes place. Microdermabrasion also treats the upper layers of skin, but is a gentler procedure, using aluminum oxide crystals to abrade the uppermost layers of skin. Deeper dermabrasion is recommended for treatment of deep acne scars. 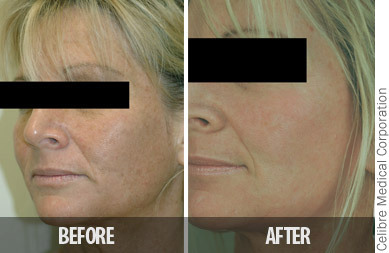 Overall, the dermabrasion technique is used to treat wrinkles and sun and age damage, as well as scarring and discoloration. The amount of healing time will vary, based on the depth of treatment. 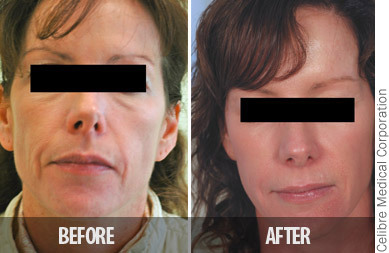 What makes a skin rejuvenation treatment invasive versus non invasive? Generally, invasive procedures are those which involve incisions; minimally invasive procedures result in some damage to the surface of the skin, and may also include some techniques that use tiny openings in the skin to allow for insertion of exploring scopes or tubes, called cannulas, which are used in may liposuction procedures. 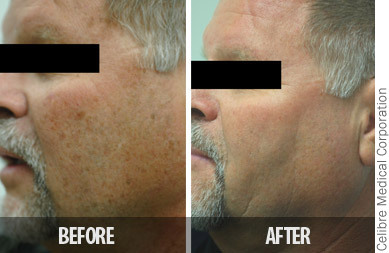 Noninvasive procedures do not require incisions of any kind, and cause limited or no damage to the surface of the skin. Laser procedures may be minimially invasive or noninvasive, depending upon the type of laser and procedure being performed. Dermabrasion and chemical peels, because they cause controlled damage to the skin’s surface, are usually considered minimally invasive. Are all skin rejuvenation treatments used on all skin types? No, rejuvenation procedures are not recommended for darker skin types, which can result in hypopigmentation, or lack of skin pigment. If you have darker skin, you should talk with your specialist about any potential pigmentation problems which you might experience with specific techniques.